SEATTLE (AP) -- For tourists with an interest in Seattle's role as a high-tech hub, there hasn't been much here to see, other than driving over to Microsoft headquarters in suburban Redmond to take pictures of a bunch of boring buildings. But Microsoft co-founder Paul Allen has just opened the Living Computer Museum, with displays of old machines — all in working order — along with a geeky wish list of items he'd like to add, just in case anybody out there has an old tape drive or super-computer sitting around. Visitors who stop by the nondescript building in an industrial section of Seattle south of the baseball stadium are likely to see technicians in white lab coats working on the machines. But this place is not just for nerds and techies. Since the museum's Oct. 25 opening, many visitors have been families, and their questions have not been the expected queries concerning technical specs of machines, but rather where did the curators find these artifacts and what were they used for. And items here are not behind glass with "Do Not Touch" signs. This is a place where you're welcome to pull up a chair and relive the days when you played Congo Bongo on a Commodore 64 instead of doing homework. Visitors of a certain age are also almost guaranteed to see the first personal computer they ever touched — Radio Shack TRS-80 or an early Apple, perhaps— but the centerpieces of the collection are the bigger, older, flashier machines. One of the oldest examples is a PDP-7 made by Digital Equipment Corporation. It's the size of an office cubicle and was designed in the mid-1960s to do just one operation in a physics lab at the University of Oregon. The curators believe it is the only working model of this machine in the world. The machine has a fraction of the computing power of a modern cell phone and is a lot more expensive to maintain. Displays throughout the small museum explain how much computers have evolved in the past 50 years and feature some amusing old photographs, including one shot of Allen sitting at a keyboard with a young Bill Gates looking over his shoulder. People can visit the museum and access some of its computers virtually by requesting a login on the facility's website. Among the museum staff's plans for the future are a special tour focused on the history of Microsoft and a lab where visitors can interface with some of the older machines. All the equipment is from Allen's personal collection and the people who run the museum say the high-tech billionaire is committed to putting more cash into building his collection for both educational and nostalgic value. "He's extremely passionate about this place," said Christina Siderius, a spokeswoman for Allen's company, Vulcan Inc.
Allen is a collector of epic proportions, but he doesn't keep his toys locked away in a private vault; he likes to share. He has two other museums in the Seattle area: the Flying Heritage Collection featuring his airplanes and the Experience Music Project popular culture and science fiction museum, filled with guitars, album covers, movie and band posters, costumes, props and toys. Between the science fiction displays at the EMP and the new computer museum, Allen has almost single-handedly given geeks — and many others — several good reasons to visit Seattle. "We are a tech capital," Siderius said. "To have something that pays tribute to that is appropriate." Allen himself doesn't hang out at the museum or show visitors around, but he has an appropriate surrogate in Ian King, the museum's senior systems engineer. "I'm a collector myself. 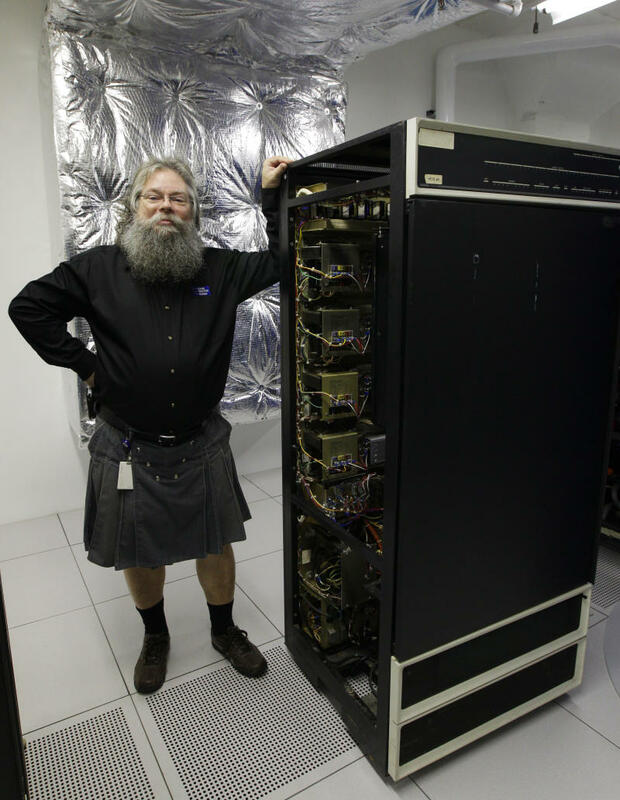 I have about 30 machines in my basement," said the bearded, kilt-wearing King. LIVING COMPUTER MUSEUM: 2245 First Ave. S., Seattle, http://www.livingcomputermuseum.org. Open Thursday, noon-8 p.m.; Friday, noon-5 p.m.; Saturday-Sunday, 10 a.m.-5 p.m. Adults, $5; students, seniors, active military, $2; children 12 and under, free. Follow Donna Blankinship at http://www.twitter.com/dgblankinship .